Pariksha Pe Charcha 2 for students will be live telecast in all government and CBSE schools in India and abroad. New Delhi : Students all over India and abroad are super-excited for the reason that they will participate in the ‘Pariksha Pe Charcha 2’. The Prime Minister Narendra Modi will interact with around 2,000 students at New Delhi’s Talkatora Stadium on January 29, 2019. “For first time, students from all over India and also Indian students residing abroad are participating as compared to last year where only Delhi / NCR students were called. The participants from abroad belong to countries like Russia, Nigeria, Iran, Nepal, Doha, Kuwait, Saudi Arabia, and Singapore,” mentioned the official release. 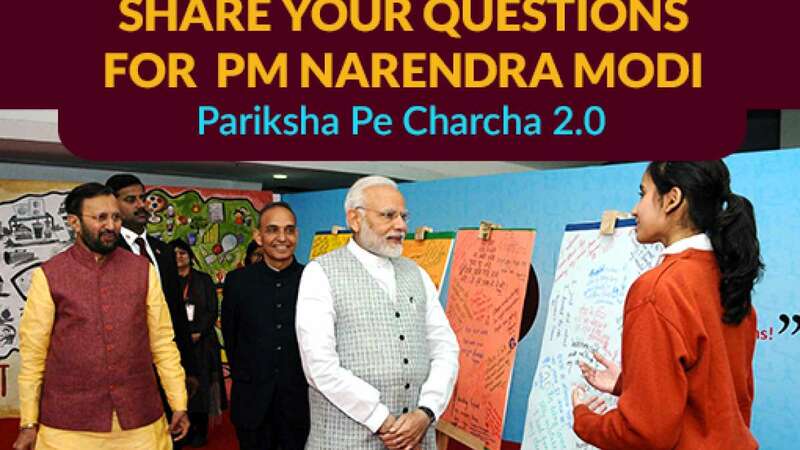 Pariksha Pe Charcha 2 programme for students will be live telecast in all government and CBSE schools, colleges and higher education institutions of the country and abroad. The interaction between PM Modi and students to be held in New Delhi will be spiced up with 10 minutes cultural programme in which winners, like dancers and singers, from Kala Utsav contest, their parents and teachers will be performing. Also a short film on how to reduce exam pressure since last year’s ‘Pariksha Par Charcha, will also be telecast. The Pariksha Pe Charcha 2 event will be held a week before the board examinations. This year, the Indian School Certificate (ISC) examinations will start from February 4, while the Indian Council of Secondary Educations (ICSE) from February 22, 2019. The CBSE Class 10 examinations will begin from February 21, while Class 12 from February 15, 2019. To inform, the Pariksha Pe Charcha was started last year to discuss issues related to exams and exam stress. The session comes days after the HRD Ministry released a book, Exam Warriors’, authored by the PM which aims to help students overcome exam stress.